PLYMOUTH Swallows Gymnastics Club’s Ruby Stacey has become South West espoir champion. 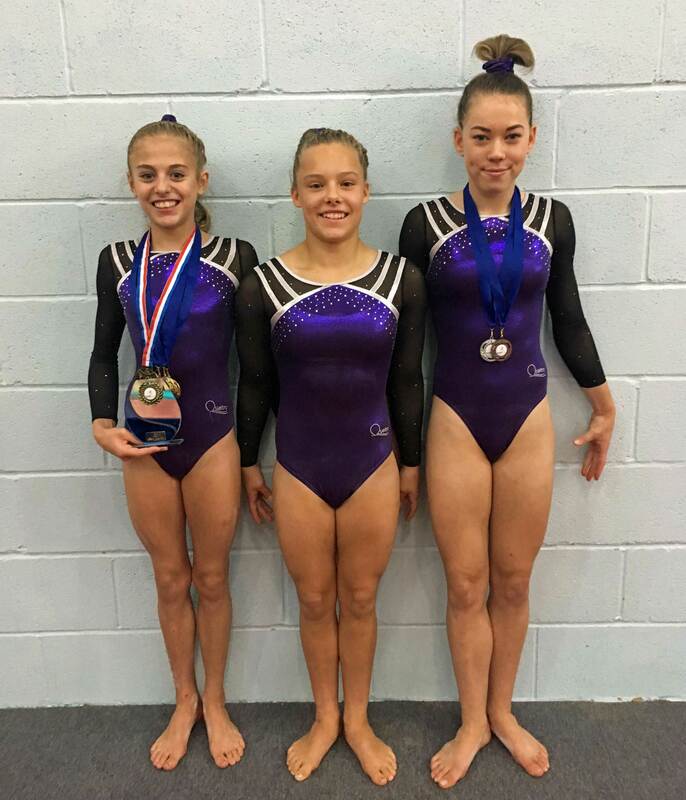 The 12-year-old took the title after gaining gold medals on the vault, bars and floor and a silver on the beam at the regional championships in Wiltshire. Her spectacular performance has resulted in her being selected for the South West team to compete at an international competition next month – the Rushmore Rosebowl. This is a fantastic achievement for the Plymouth gymnast as she is in the first age band eligible to be selected. Fellow Plymouth Swallows gymnasts Beth Rowe and Libby Moor (pictured with Stacey) also impressed at the South West Championships. Rowe finished fifth overall in the senior category, claiming a silver medal on vault and a bronze on floor, while Moor took eighth place in the junior category.